Chris G. has been in the Music Business since 2006 as a concert promoter, artist manager, and booking agent. 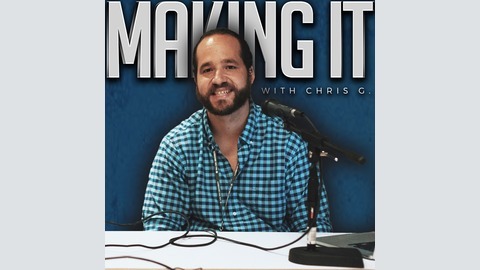 “Making It” is not about being on top of the charts, winning mainstream awards, or having millions of social media followers. Though those things are nice, that’s a very small percentage of the industry. “Making It” is about having conversations with people that do what they love full time, instead of being stuck with a career they hate. 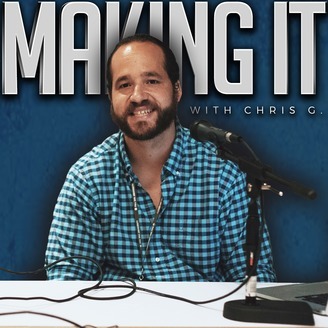 Throughout his journey, Chris has met many inspiring individuals who have in his eyes “made it” and who have an abundant amount of stories and wisdom that should be shared with the world of aspiring creatives, musicians, actors, athletes, and entrepreneurs. The objective of this podcast is to educate and motivate individuals by sharing stories of people who are “making it” every day. Jade Driver is on of the founders of Crowd Surf, along with her business partner Cassie Petrey. Crowd Surf is a marketing company which also handles PR and artist management for artists. The company literally started while they were in college. They went from having Backstreet Boys posters on their walls, to now working with them as a client. Crowd Surf has offices in New York, LA, and Nashville with over 50 employees. In this episode, Jade shares her story along with lessons on how to get started and land a career in the music business. She also share some marketing and social media advice for musicians, and much more. To learn more about Jade Driver and Crowd Surf visit http://crowdsurf.net/.